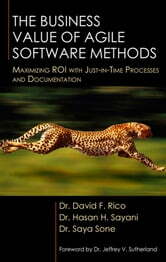 Using cost of quality, total cost of ownership, and total life cycle cost parameters, The Business Value of Agile Software Methods offers a comprehensive methodology and introduces the industrys initial top-down parametric models for quantifying the costs and benefits of using Agile methods to create innovative software products. Based on real-world data, it illustrates the first simple-to-use parametric models of Real Options for estimating the business value of Agile methods since the inception of the Nobel prize-winning Black-Scholes formula. 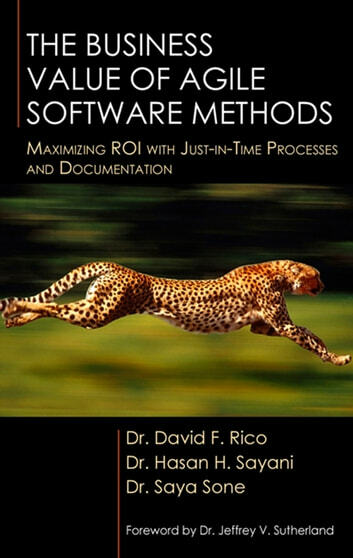 Numerous examples on how to estimate the costs, benefits, ROI, NPV, and real options of the major types of Agile methods such as Scrum, Extreme Programming and Crystal Methods are also included. In addition, this reference provides the first comprehensive compilation of cost and benefit data on Agile methods from an analysis of hundreds of research studies.